OK, so we’re all sold on the marketing potential of social media. Aren’t we? But I’d like to write a little bit about using Linkedin for marketing in the B2B field. First off, at the time of writing Linkedin has over 200,000,000 (that’s two hundred million) users and most of these users are there to try and raise their professional profile and connect with like-minded people in business. Whilst it’s, technically, a social media it is actually a huge business networking site. And this presents a few opportunities for using Linkedin for marketing and I’d like to share just a couple of simple tactics for now. 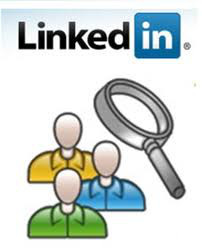 We currently have 2 clients who are using Linkedin to laser target individuals in organisations they want to work with. The first is Nigel, he is an expert in helping businesses make more effective and efficient use of warehouses and storage space. His approach is to make a note of potential client businesses when on his travels, look the business up on Linkedin when back in the office, and then try and connect with people in that business with a view to eventually connecting with the guy in charge of storage etc. The second is Clare, who is a specialist in domestic abuse training. Her business is to help those in the police and social services to recognise and tackle domestic abuse situations. Her target market is incredibly well-defined but she has only a few hundred potential clients in the UK. So she’s using Linkedin to reach those target individuals so she can offer and training and consulting services. Obviously just connecting isn’t going to be enough. From there you need to nurture the relationship and that’s where your marketing savvy plays its part. This one will take a little more thought and something of a longer-term view but can be very effective if consistent effort is applied. The tactic is simple: find a Linkedin group where your target clients hang out and offer help and advice in that group to your audience. My solicitor, Marie, (who is a sole practitioner) wins regular paid work by doing just this. She’s involved in a few groups and has pitched herself as the group expert for small business legal issues. But there are some problems that go beyond the scope of the groups and that’s where she wins business. A word of warning on this one though: don’t let it take over your life. It’s easy to get hooked on spending time on social media and Linkedin is no exception. You should not be spending more than about an hour a week on this strategy. So, hopefully you’ll begin to see how using Linkedin for marketing isn’t as complex as many of the experts and social media gurus would have you believe. If you’ve any examples of where you’ve successfully used either of these tactics to win business then please share them in the comments below. If you’d like some help with using Linkedin for marketing then just give us a call on 0116 3552194. Ok … I agree, totally – however I’m going through that conundrum I often go through which is: what groups are best for me as a hypnotherapist? You know I help people stop smoking, lose weight and get rid of their featrs and phobias – oh, also help business people become more motivated as well as sports people … so, which groups or what approach would you suggest? in your case I’d be looking to narrow down the product offering and then segment your target market accordingly. Since your offering spans many areas (both consumer and business) I’d suggest you work out what specific thing(s) you could offer to a business audience on Linkedin. What thing will help Linkedin networkers to do things better in their business? When you’ve worked this out you should then be able to draw up a detailed idea of what your ideal client would look like and what they would gain from what you offer. Once this client profile has been identified you can then search on Linkedin for an appropriate group (or groups if you have the time). If geography is important then a local/regional business group might be worth getting into. The Beds Chamber of Commerce has quite a large group, for example. If location isn’t an issue then try a group in a sector that’s of interest to you, I’m sure you could find a couple that might fit the bill.